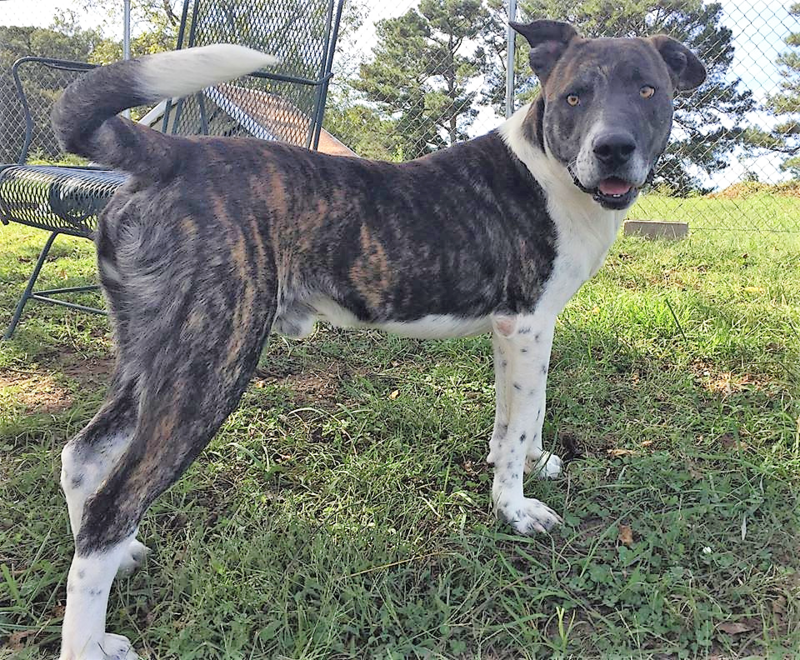 Duffy is an approximately 1.5-year-old lab/Akita/basset hound (maybe?) mix. He’s big, but gentle. Duffy’s a medium-energy pet with a future as a companion, comfort, reading or therapy dog. Duffy’s adoption fee is $90 which includes: DHLPP vaccine, Bordetella vaccines, rabies vaccine, wormer, general exam at the vet, neutering, microchip, free 30-day health insurance policy issued by 24PetWatch (with valid email only) and a free bag of food from Cullman Pet Depot (you must pay sales tax).